What do you think of when you think of the term "serial entrepreneur?" Wealth? Power? Jet setting around the globe? 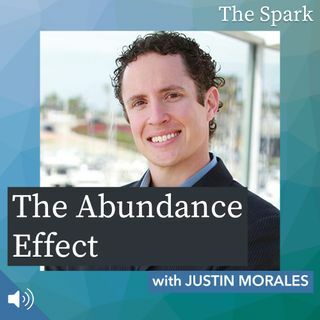 Justin Morales, serial entrepreneur answers that question and more when we discuss his new book, The Abundance Effect - How to Shift From a Life of Scarcity to a Life of Abundance. We discuss what creates real abundance in our lives, how to lean into and overcome our fears, and how to create a mindset that not only brings you more success, but creates more happiness ... See More and deep life fulfillment.